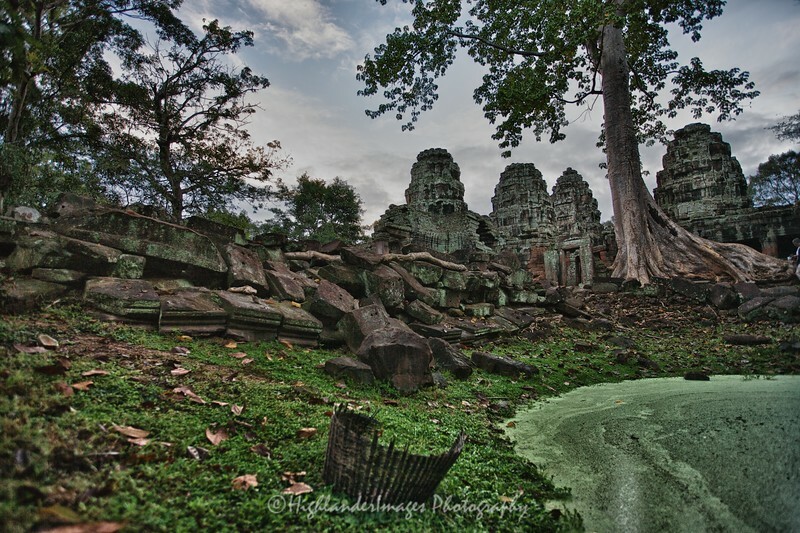 Banteay Kdei (Khmer: ប្រាសាទបន្ទាយក្តី, Prasat Banteay Kdei), meaning "A Citadel of Chambers", also known as "Citadel of Monks' cells", is a Buddhist temple in Angkor, Cambodia. It is located southeast of Ta Prohm and east of Angkor Thom. Built in the mid-12th to early 13th centuries AD during the reign of Jayavarman VII (who was posthumously given the title "Maha paramasangata pada"), it is in the Bayon architectural style, similar in plan to Ta Prohm and Preah Khan, but less complex and smaller. Its structures are contained within two successive enclosure walls, and consist of two concentric galleries from which emerge towers, preceded to the east by a cloister.